Budget 2017, which is now going to be presented this year on 1st February, instead of end of February, is already riding high on expectations. The path breaking moves like demonetization, setting a panel of experts to draft New Education Policy and the creation of Higher Education Funding Agency (HEFA) have all been welcome moves in the direction of creating a better India. In such a backdrop, it is obvious that the expectations of people from the budget will be high. Here are Prof Dr Uday Salunkhe’s views on the expectations from the Union Budget 2017-18. “The education sector plays a pivotal role in the economic and social development of India, the Government should provide a boost to the education and skill development initiatives. It is also very important to take measures to encourage academic research and involve participation of private institutions to advance the sector. We also hope that the Government also undertakes curriculum reforms that can help improve and enhance the learning outcomes. The CII-AICTE National award for ‘Best Management Institute for Industry Institute Linkage’, 2015 has been awarded to WeSchool. Also, the “Best Innovative Institute” award at the ASSOCHAM 9th Higher Education Summit, National Excellence Awards at the hands of Union HRD Minister of State, Prof Dr. Ram Shankar Katheria was awarded to WeSchool this year. WeSchool had the honor of being bestowed the Best Management Institute of the Year Award, 2015 by the Bombay Management Association (BMA) at the hands of Mr Ratan Tata. 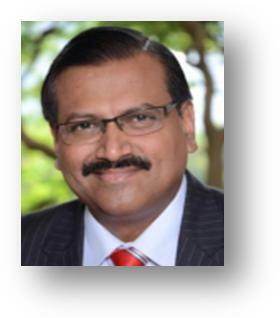 Prof Dr. Uday Salunkhe is the Group Director of Welingkar Institute of Management Development & Research (WeSchool), which is amongst the premier private business school in India, with campuses in Mumbai and Bangalore. His 20 years of experience in academia coupled with industry experience of over 11 years has steered WeSchool to great heights by pioneering unique academic programs, partnerships with universities and organizations across the globe. He has also established linkages with several leading universities and institutions across the globe. He has to his credit the distinction of introducing programs in breakthrough areas such as Business Design & Innovation, E-business, Retail, Healthcare, Media and Entertainment and Rural Management (Emerging Economy), to name a few.